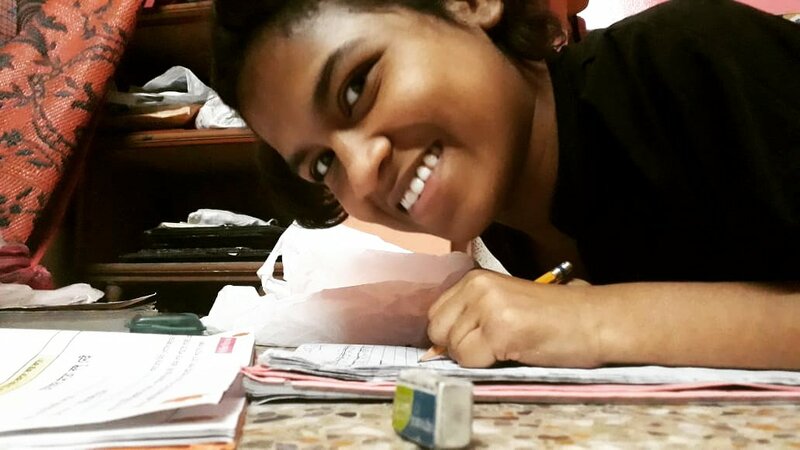 We now have a local physiotherapist who is coming to Lula Bari and the shuktara boys' house. He may increase his timing but for now he is starting slowly with one hour in each home twice a week. After only a couple of sessions the results were obvious. 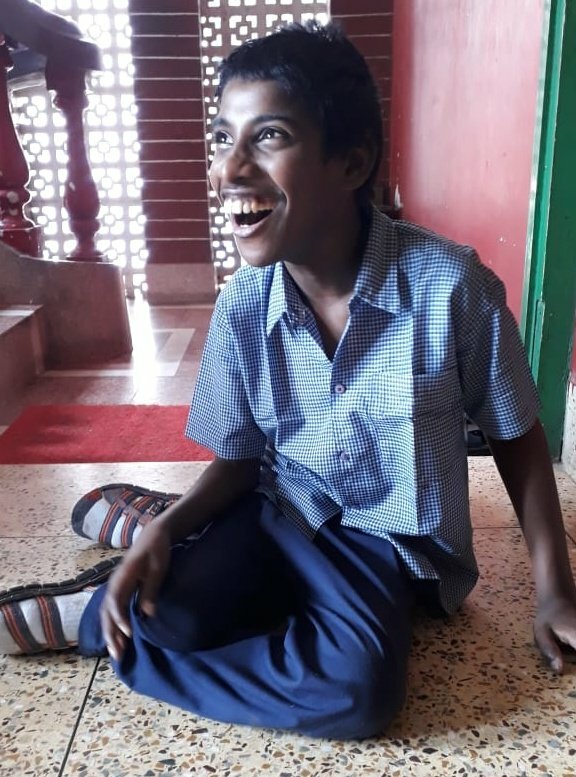 We are very grateful to two wonderful shuktara supporters who are sponsoring his stipend for one year. 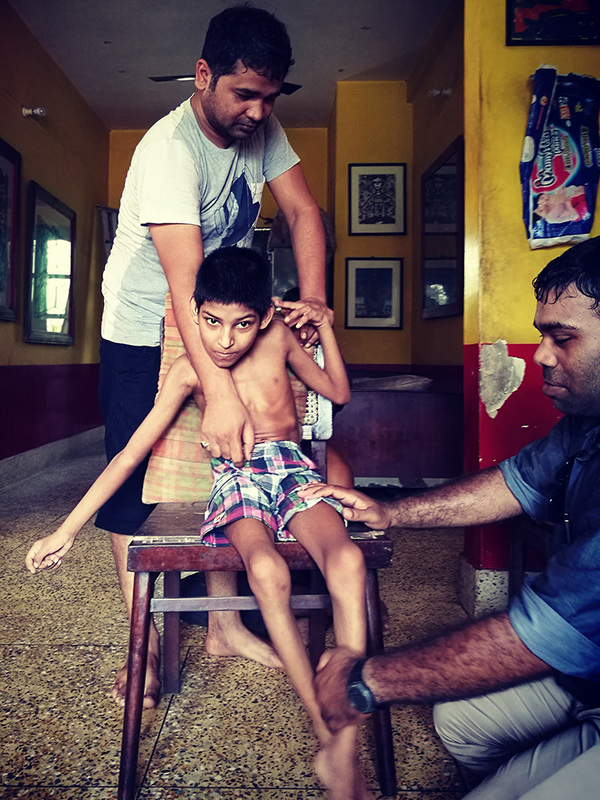 We expect regular physio sessions will make a difference in both comfort and mobility for Moni, Prity, Guria, Aakash, Subhash, Suman and Ratan. And it's great fun, especially with the exercise balls! 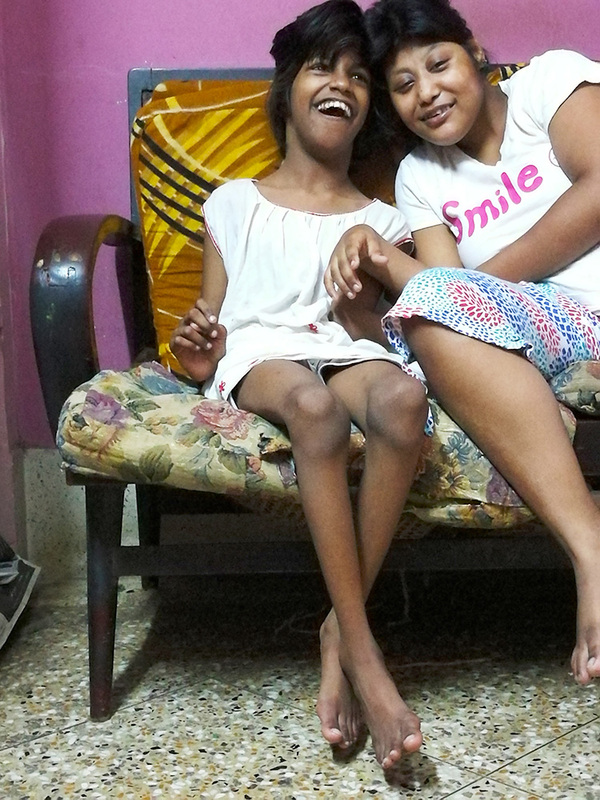 After just one session of physiotherapy Guria is sitting up with her legs straight. She's determined. Sitting with Muniya in her "smile" t-shirt. Getting more movement going on for Prity and trying to help her to get up, rather than stay down all the time. 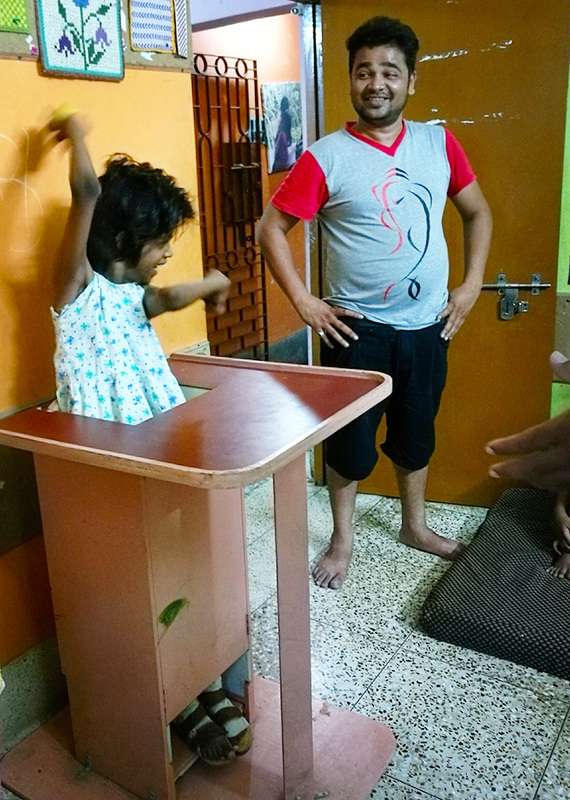 Guria in her standing frame learning ball control. 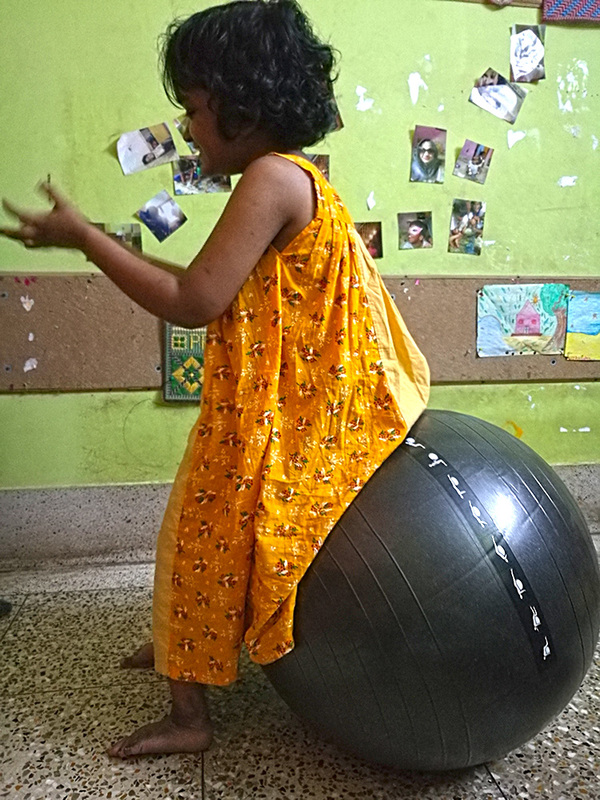 Moni learning balance on her exercise ball.